Whether you have a balcony, fire escape, or access to a communal garden, don’t let your piece of the great outdoors go to waste, no matter how tiny. Here’s how you can maximize your small outdoor space. Are you one of those charmed New Yorkers who actually has an outdoor space? Lucky you! Whether you have a balcony, fire escape, or access to a communal garden, don’t let your little piece of the great outdoors go to waste, no matter how tiny. Use these tips to maximize your small outdoor space. Start by making a plan and deciding what’s most important to you. Think about how you’ll use your space. Do you want somewhere to sit and enjoy the sun? 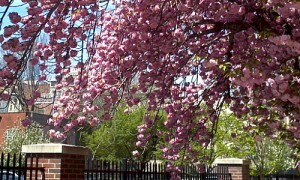 Would you like to grow flowers or vegetables? 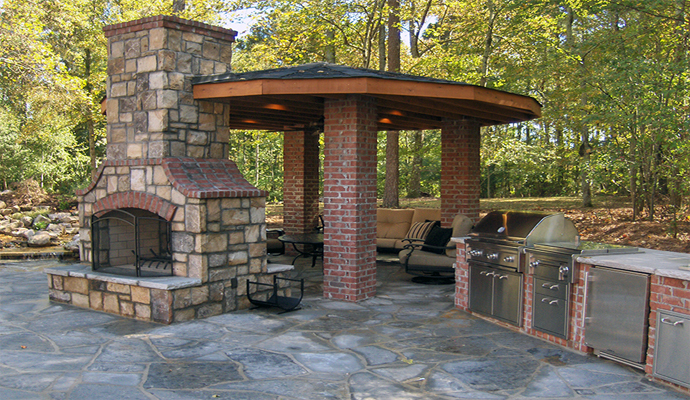 Once you decide how your outdoor area will be used, take measurements and create a rough plan. Plot out your seating, a corner for plants, and anything else you’d like to include. Make sure to take your notes and a measuring tape with you when you go shopping. Make the most of a tiny footprint by going vertical. Talk to the experts at your local nursery. They’ll help you choose flowers, tomatoes, peppers, and other plants that will grow up, instead of out. As your plants grow, attach them to a trellis or fence with a twist tie or a little string. You can also create more floor space by attaching decorative objects and plants directly to the wall or a standing screen. Window boxes are another great option that work in the smallest areas. Attach them all around your patio for a lush feeling or hang one just outside your window. 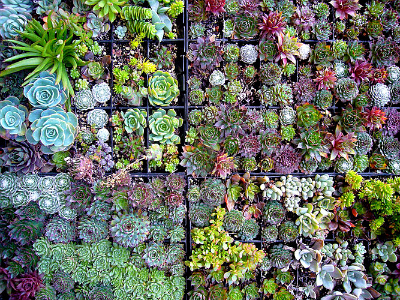 If you have a free afternoon, why not create a gorgeous succulent wall? Your friends will be impressed by your green thumb! If you have the space, carve out a little room for seating. Look for a petite bistro set where you can enjoy a glass of wine or an outdoor meal. 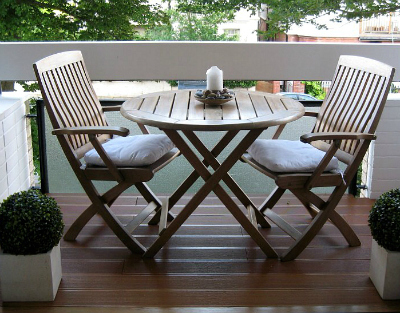 A small bench can be squeezed onto a tiny balcony or placed in a corner of your communal garden space. Pick up some cushions to make sitting on your fire escape more comfortable. Check out Apartment Therapy’s outdoor furniture roundup, which includes Dedon — a retailer with an NYC flagship store. If your small outdoor space has direct sunlight for most of the day, add an umbrella for a little shade. It will keep you cool and prevent sunburn at the same time. Consider your outdoor space an extension of your apartment and use accessories to add character. Keep an eye out for colorful cushions and pillows. They’ll add interest, in addition to making your space more comfortable. Ballard Designs has a great selection made from indoor/outdoor fabrics that will last all summer long. Have fun! Place pretty lanterns and candles (citronella will keep the bugs away) on a table or stand. Use an outdoor rug to add a little pattern to your space. Hang inexpensive mirrors to add ambiance. 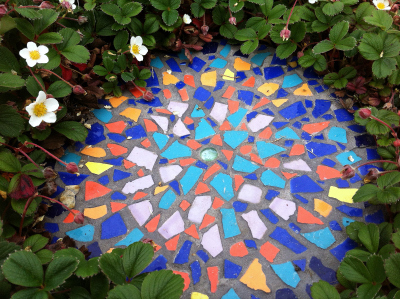 If you’re feeling creative, make your own stepping stone. It’s the perfect way to use broken dishes, old tiles, and other decorative objects. Remember to keep these tips in mind when buying an apartment in New York, and don’t let your space go to waste! With a little planning, you’ll be able to enjoy the outdoors all summer long. Three easy and inexpensive ways to get started turning your outdoor space into an inviting destination.